Obituary for Daniel Pagliarella | Thomas J. Shea Funeral Home, Inc.
Daniel “Danny” Pagliarella of Binghamton went to be with the Lord, surrounded by his Family August 12, 2018. He was greeted in heaven by his wife Dorothy of 65 years; his Mother and Father; almost all his siblings; son-in-law Stanley Anderson and great grandson Joshua Nichols. 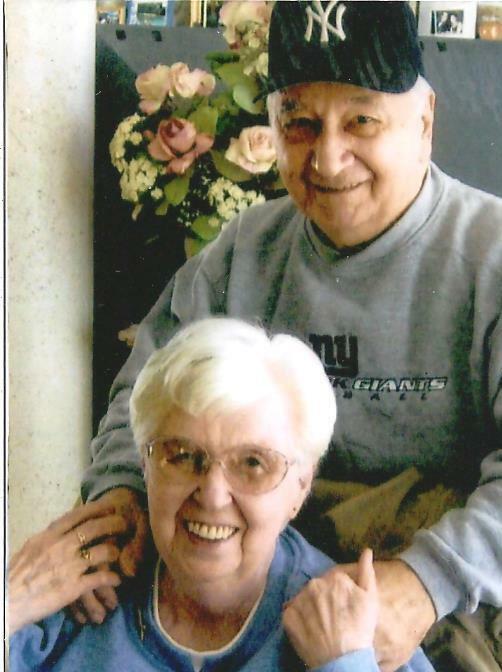 He is survived by his children Rose (Jim) O’Neil, Diana Anderson, Daniel (Misty) Pagliarella, Mark (Laura) Pagliarella, Jacqueline (Steve) Pagliarella MacBlane; 12 grandchildren; 8 great grandchildren and his sister Julia Lamparelli. He Roller Skated up to age 81; loved Karate and volunteered with the Civic Theatre. He was a big fan of the Yankees and Giants. He will be dearly missed by all. The family wishes to thank Dr. Laura McDermott, Hospice for their excellent care and Meals on Wheels; donations can be made to either agencies in his name. Visitation will be held on Friday, August 31, 2018 from 9am to 10am at St. Francis of Assisi Church in Hillcrest. A Memorial Mass will follow at 10am.